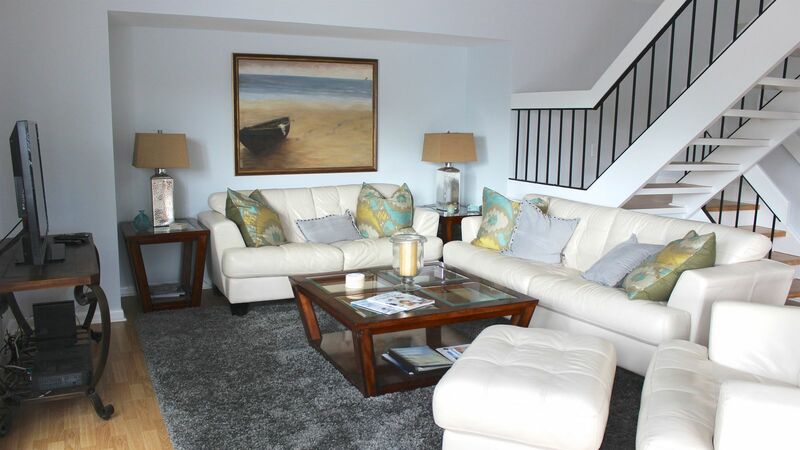 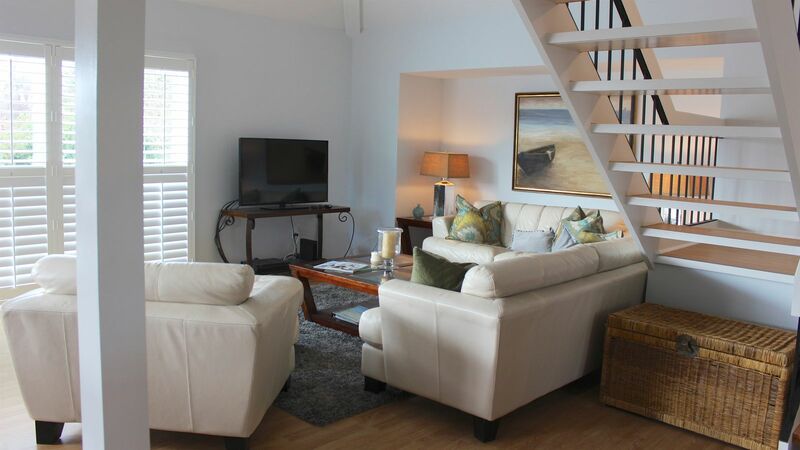 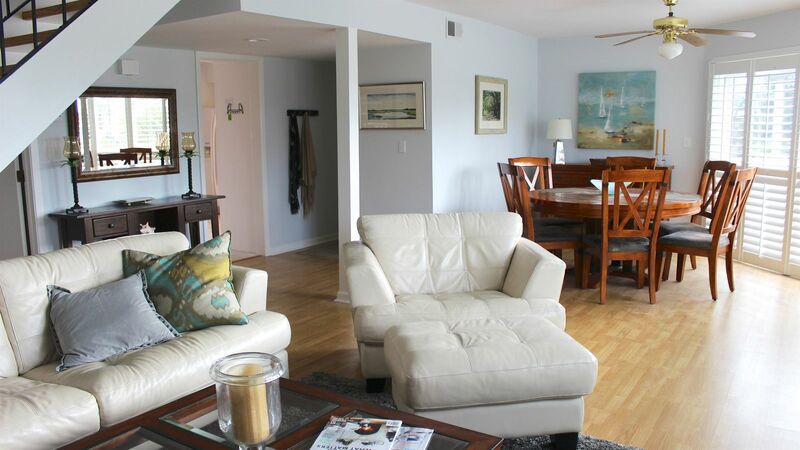 710 Spinnaker is a beautifully decorated townhome in the perfect location. Enjoy sunset views over the ocean from the upstairs deck! 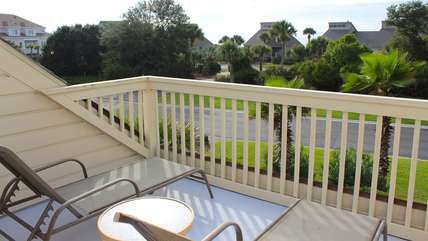 Or take the short walk across the street to Pelican Beach. 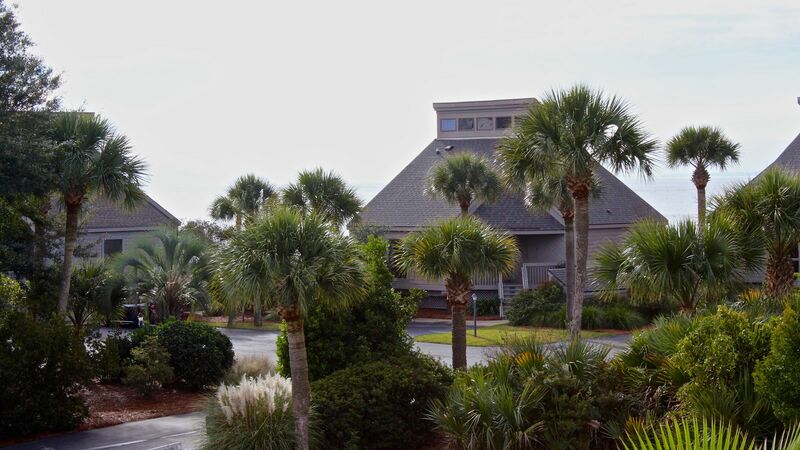 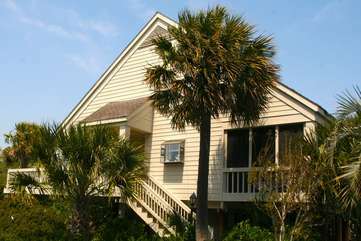 The Island House with its restaurants, Palmetto Room and Bohicket Lounge, are just down the street, as are the two golf courses, Ocean Winds and Crooked Oaks and the Beach Club with its two pools. The Pelican's Nest offers outside dining during the Spring/Summer/Early Fall. The townhome has been refreshed with new paint and decorating touches. 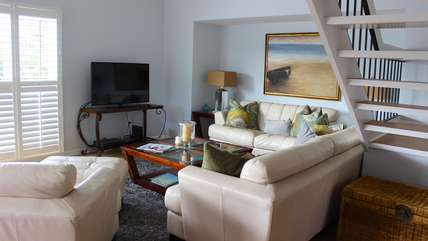 Soft leather sofas, hardwood floors, high ceilings and a wall of windows create an open and sophisticated space. The large flat screen TV has cable and a there is a DVD player too. The dining area has a round table that seats 6 and is close to the roomy kitchen. 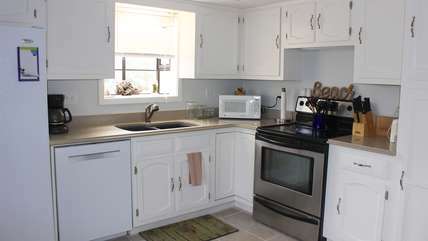 The kitchen has tile flooring, white cabinetry, new appliances, and everything you need to create vacation meals. 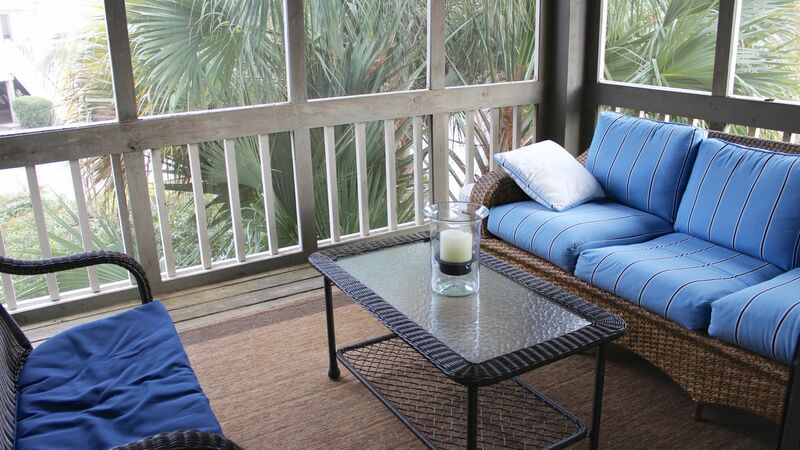 Sliding doors lead to a screened in porch with cushioned furnishings -- The perfect place to rehash your day while enjoying appetizers and cool drinks. 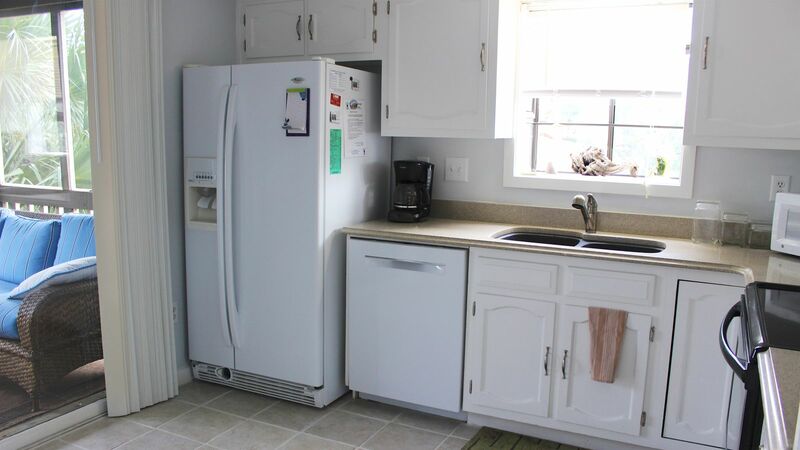 The laundry closet has a front load washer and dryer. 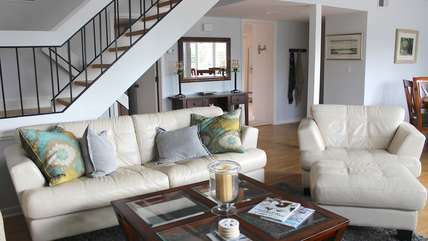 This lovely townhome sleeps 6 in two bedrooms. 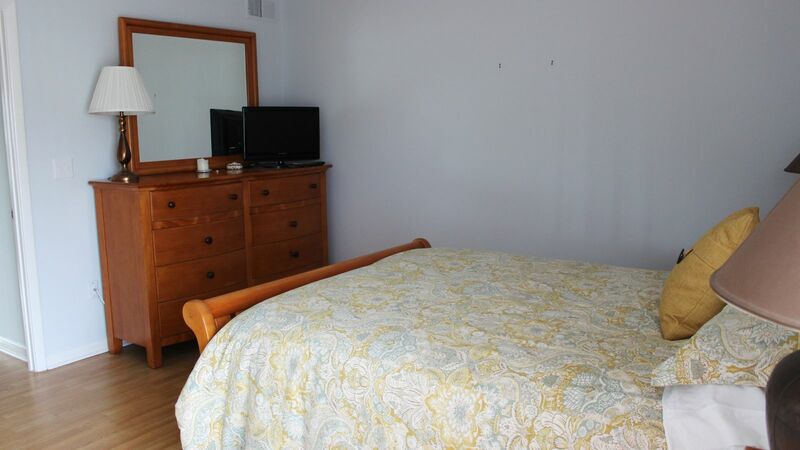 The first bedroom is on the lower level and has a queen sized bed and a flat screen TV. Gorgeous furnishings and linens create an inviting atmosphere. 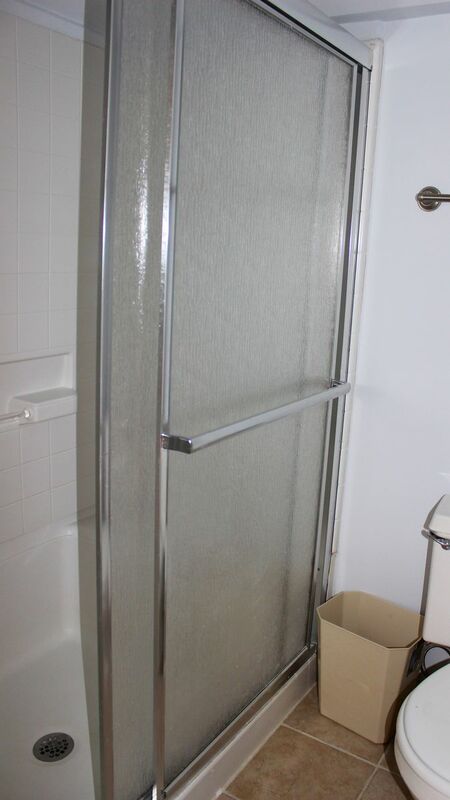 There is a full bath with a shower accessible from the hall. 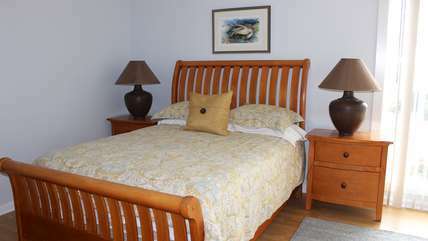 The second bedroom is on the upper level. 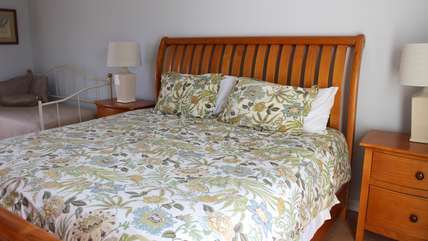 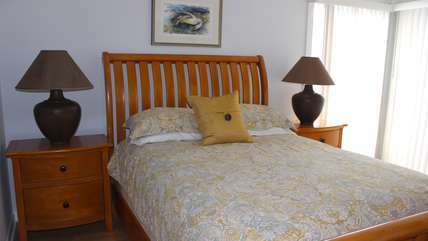 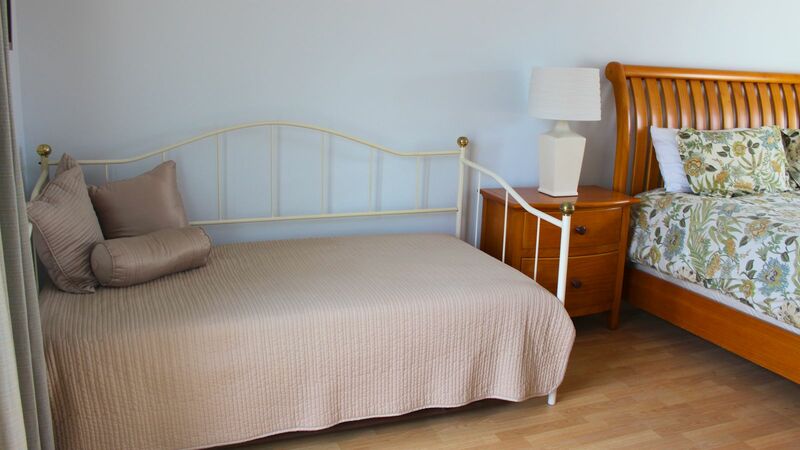 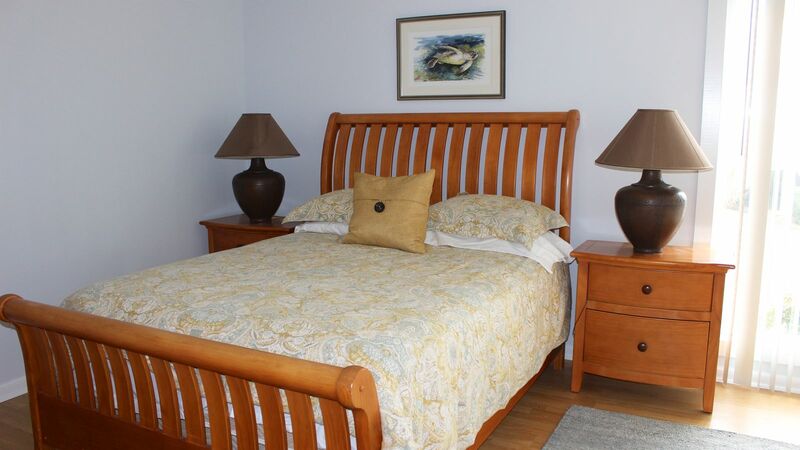 The large master bedroom has a king sized bed and a twin day bed with a trundle. 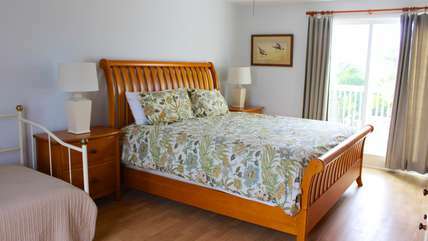 This suite is great for families with young children traveling together. 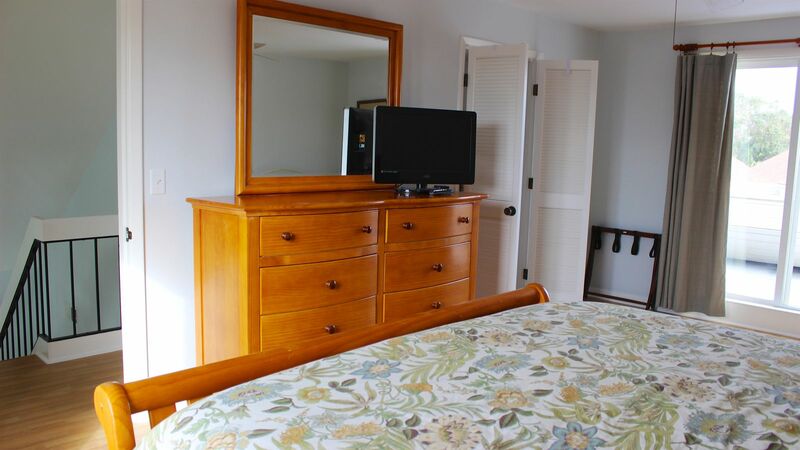 There is a large HDTV perfect for catching the morning news. 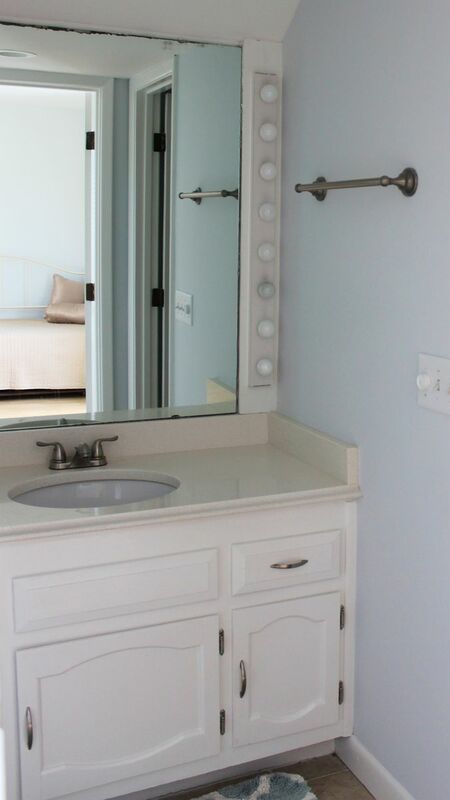 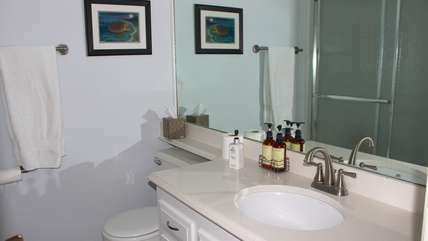 This large room also has an attached bath with a separate sink area and a wash closet with toilet and tub/shower. 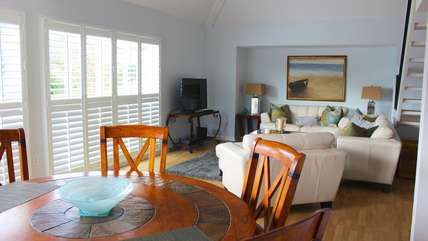 There are two sets of sliding doors leading to sun decks. 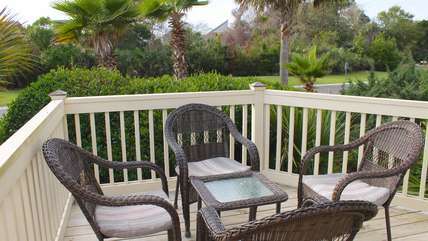 One of the decks has ocean views! Lounge on the chaises and catch some rays or enjoy the abundant stars visible in the sky. This town home is pet friendly. 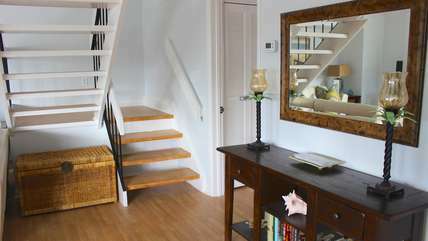 An additional pet fee to apply. 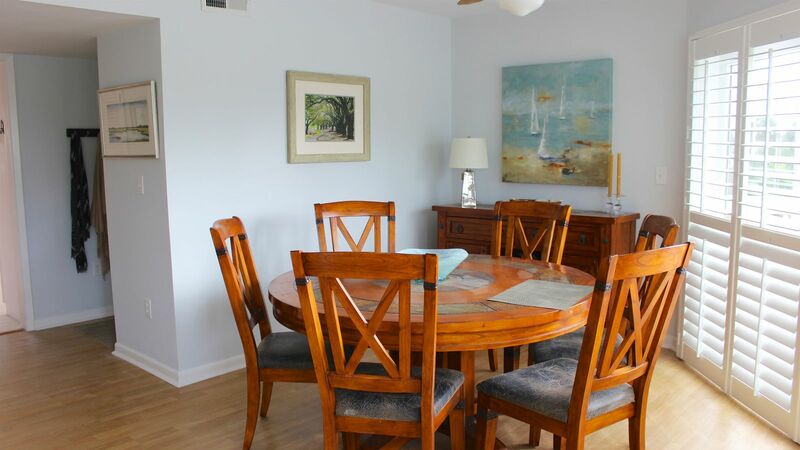 With the beach path right across the street and the Beach Club pools, golf courses, and restaurants just .3 miles from your door step, this home is a special villa in a fabulous location. Why don't you come and make your family memories at 710 Spinnaker Beach House!